I hope you all had a great Mothers Day. 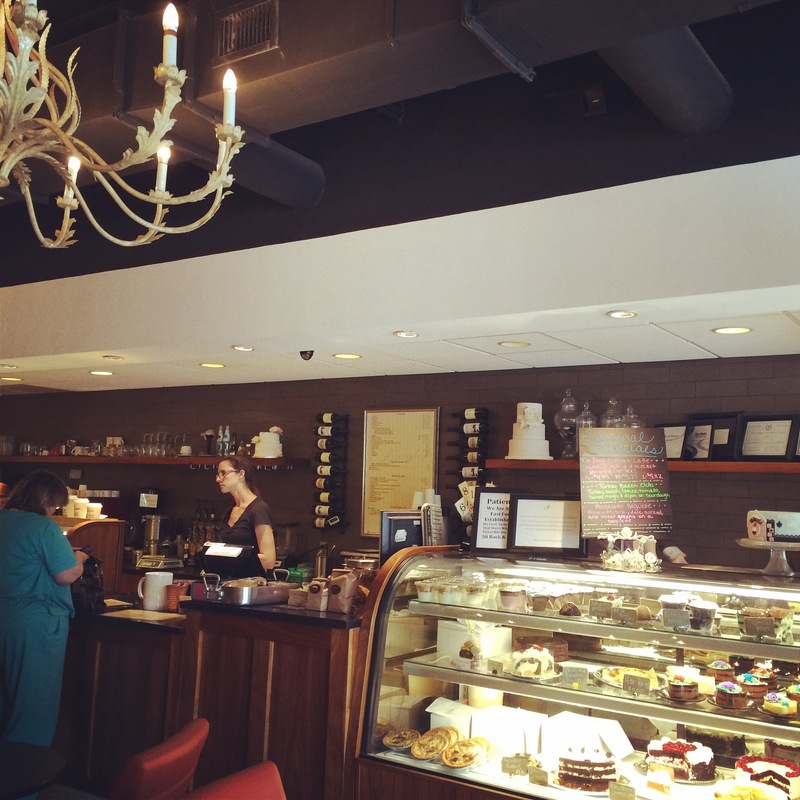 My day started of wonderfully at a local french patisserie. 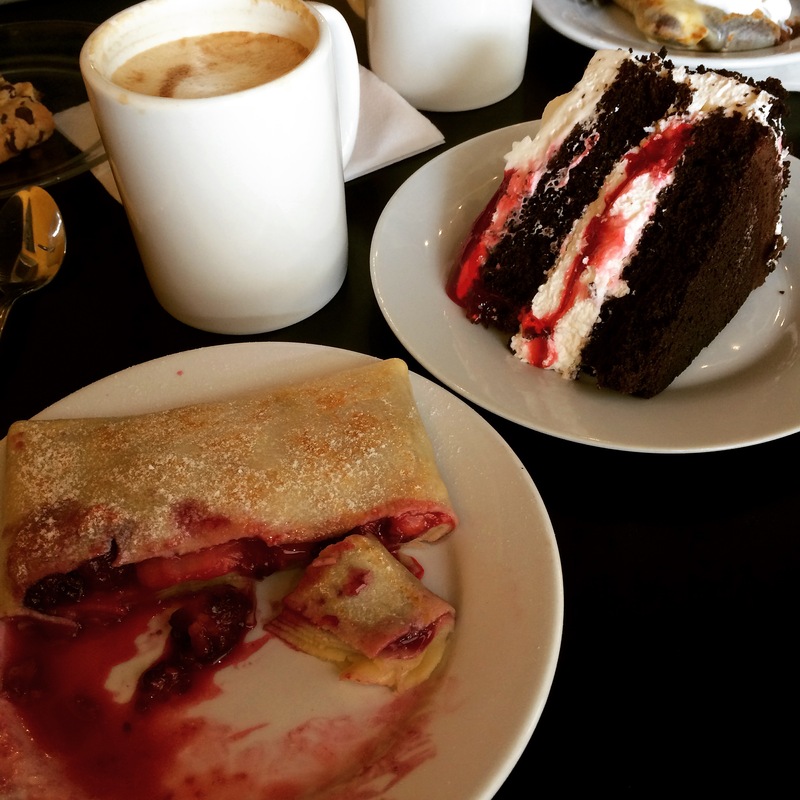 I indulged in coffee and sugar!! The rest of the day, I decided that I would play with an idea that has been in my head for a while. I put away my projects that have deadlines etc….just a day of play. It was fantastic!! 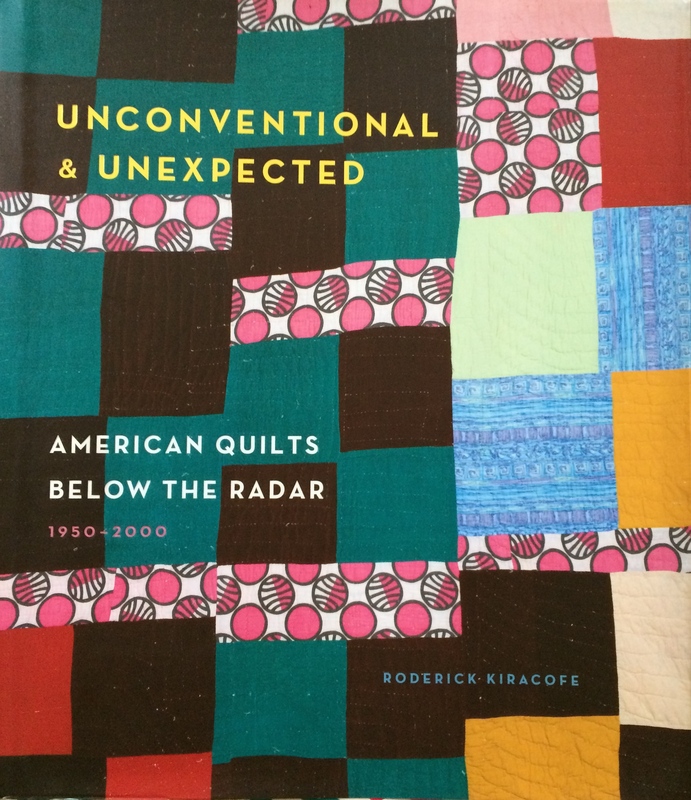 I recently bought the book “Unconventional & Unexpected: American Quilts below the Radar”. I have bookmarked several pages. 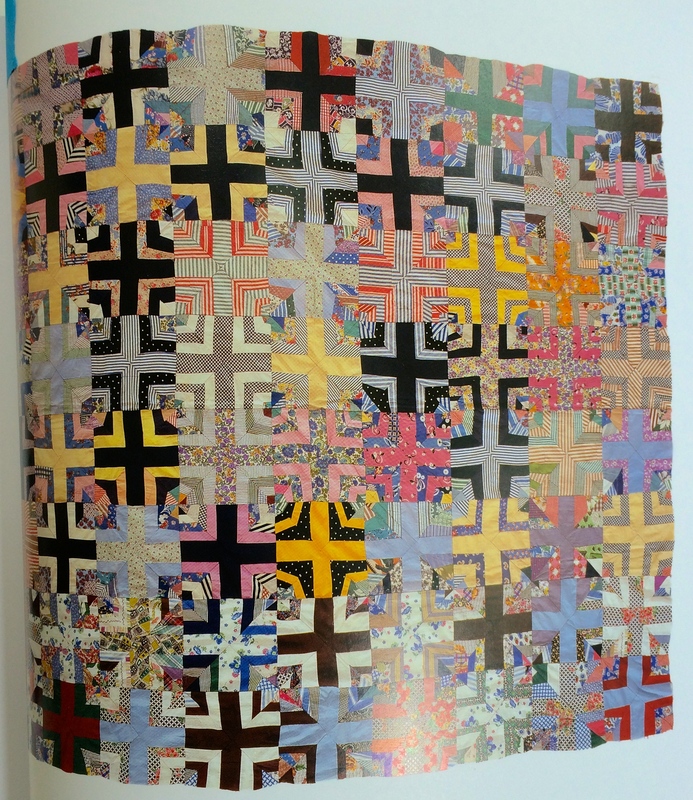 One of my favorites is this Cross quilt (pg. 179 c. 1940-1970), which is behind inspiring my play today. I wanted to make my blocks in black and white print fabrics, with a splash of color striped fabric. I am using strips of black and white cut at 1.5″, 2″ and 2.5″. I then put them in a bag and pull them out randomly (brown bag method), and sew them together, trim them down to 12.5″ squares. For now to save on fabric, I am sewing strips vertically together, using the improv. brown bag method, until it was 6.5″ x 31.5″. I then cut the triangles along the 45 degree angle. This is how my cross blocks look so far. I really like where they are going. I plan to build them out a bit more and see how they go. Oh! Apparently, I have a lot of black and white fabrics which means no need to buy fabrics….I can sew from my stash. I am hoping to give an update on these again soon (once I get my projects deadlines complete). 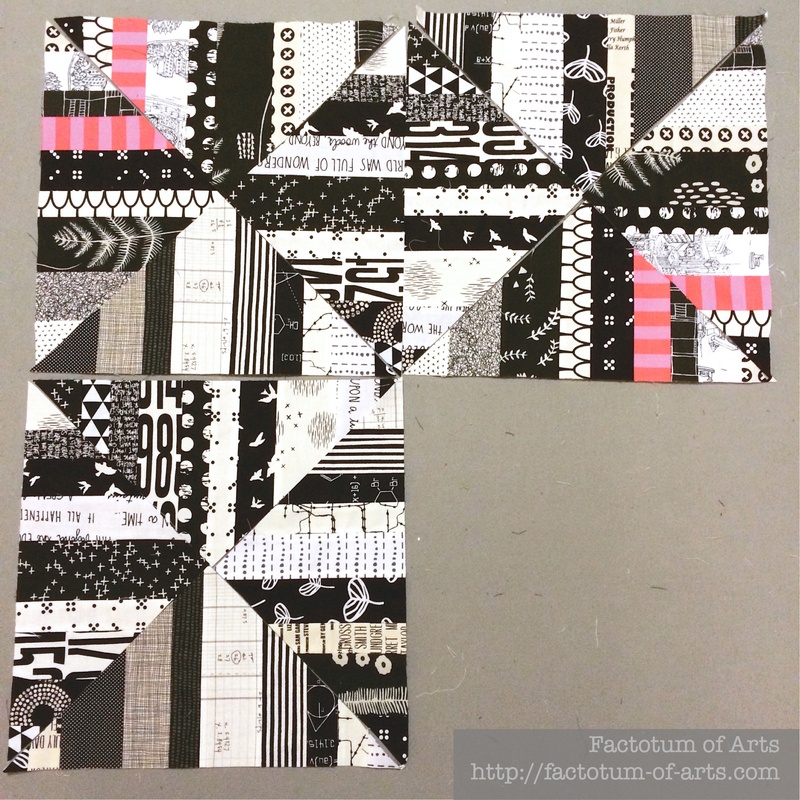 This entry was posted in Uncategorized and tagged black and white, cross blocks, improvisational piecing, unconventional and unexpected on May 11, 2015 by mlwilkie. I really like your modern twist to the inspiration quilt. The “brown bag” method is really appealing and something I want to explore sometime, too. The pop of color is really nice. Do you plan to keep it about as minimal as you have here with these blocks or is that all up to the brown bag method as well? It’s interesting how different your quilt looks. 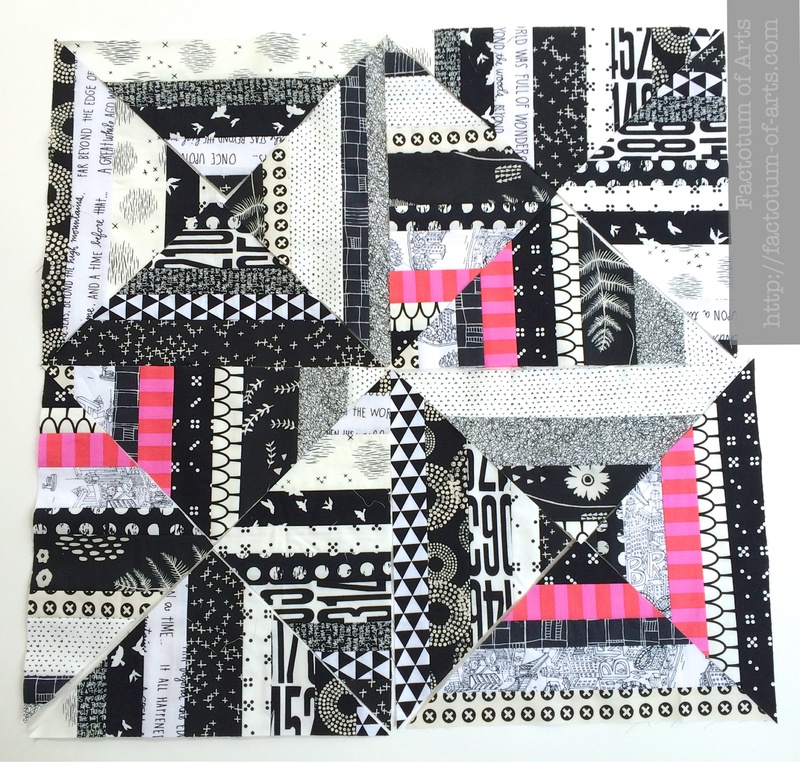 You chose a lot of wonderful mix of black and white fabrics!